Nimble enough for small business. Fully featured Content Management, Delivery, and Device Monitoring all from one platform, starting at $9.95/mo. More than just Digital Signage. A true digital content platform that works at the speed of today. content management, content delivery, device management, and the most sophisticated data driven tool sets available. Static and interactive, simple and complex, powerful and easy to use. Nimble enough for small business. Powerful enough for enterprise. 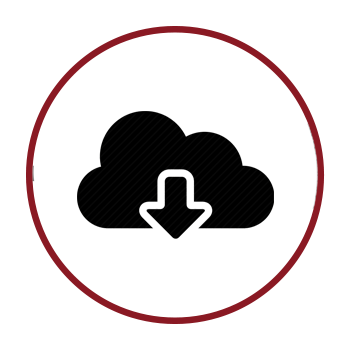 BannerVision is a complete, integrated, scalable digital content Software platform. Originally developed as a more simple digital signage product, it has evolved to be a full fledged digital content solution. 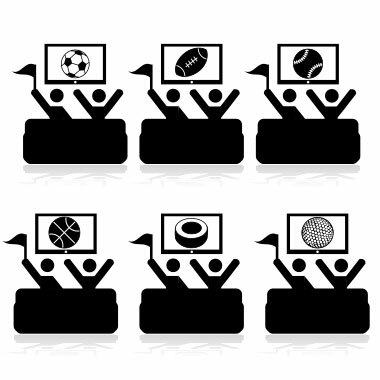 Now compatible with over 5000 display devices, BannerVision can work for you. 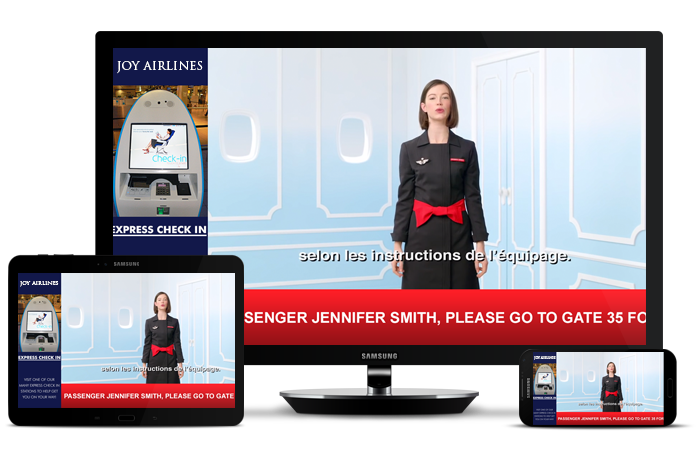 Kiosks or tablets, touch or live, interactive or informative – our customers can do it all. They use our POS and Social Media integrations, our IoT and cutting edge APIs, and our ever growing hardware partner network to create solutions that work for them. BannerVision is ready to bring your organization to your captive audience(s). BannerVision does not require new TVs, new computers, or large, complex pieces of hardware. BannerVision provides the software. You provide the hardware and the possibilities. BannerVision empowers our customers. You know your customer best. You know what they want to see. BannerVision gives you the full control to deliver your content the way you want it on the most hardware platforms anywhere. 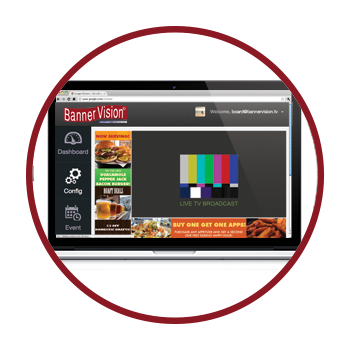 BannerVision is more than just Digital Signage. Our clients come from a wide array of different markets and use our platform for a wide array of applicataions. We are in Restaurant Bars, Government Buildings, Airport Ticket Counters, Retail Environments, Hotel Lobbies, Apartment Building Elevators, and much more. How can BannerVision work for you? 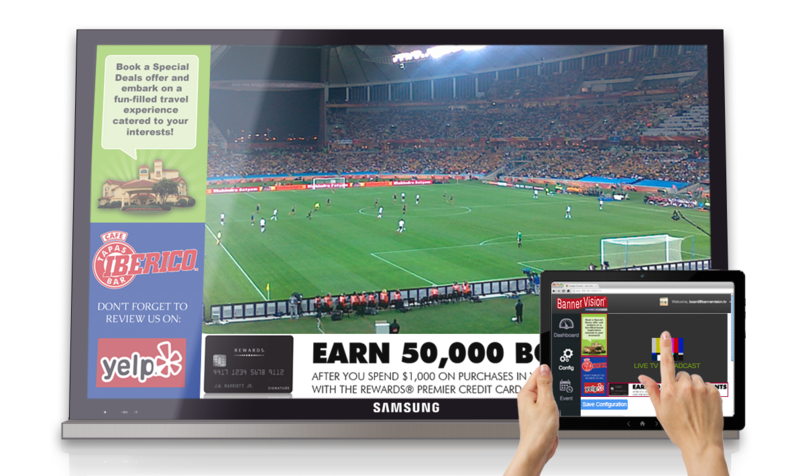 BannerVision allows you to aggregate your social media and web content along with countless other sources on one platform using your digital TV’s and displays.